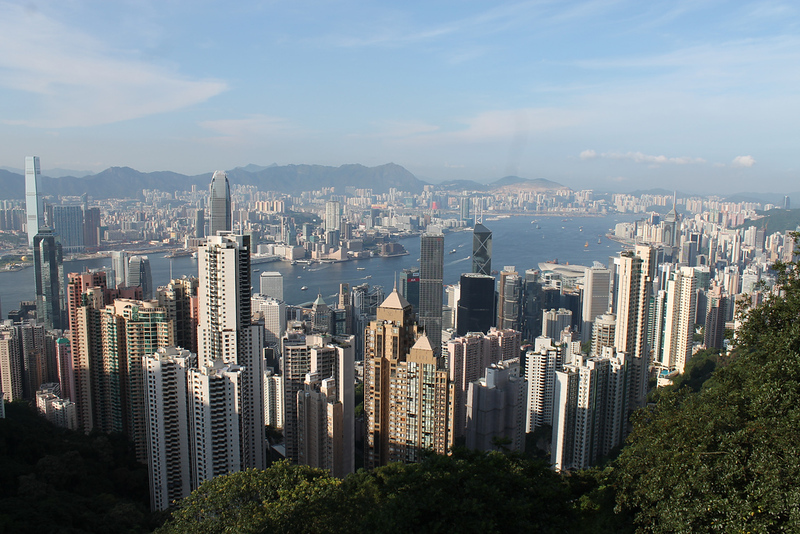 From bustling streets to beautiful hiking trails, Hong Kong offers a huge range of experiences. Follow this packing list for Hong Kong to be fully prepared for your time there. Our packing list for Hong Kong includes everything from practical essentials like clothing and footwear to things like insurance, medicine and accommodation. Before we get into larger physical items you’ll need to carry with you into Hong Kong, let’s cover the logistical side of packing. You’ll want to have all of these bases covered before you arrive in Hong Kong to avoid headaches, hassles and extra expenses. Travel Insurance – A good travel insurance policy will cover the cost of medical care, replacing lost items and dealing with other annoyances during your time in Hong Kong. World Nomads is a good option that comes recommended by Lonely Planet and can be purchased easily online. Flights – Hong Kong is a major travel destination, meaning there are plenty of options available for flights. As always, it’s worth comparing and booking as early as possible to avoid dealing with higher ticket costs as you get closer to your travel dates. If you’re still planning your Hong Kong trip and haven’t booked flights yet, you can check and compare flights online to get the best deal. Passport – Hong Kong authorities require that your passport has at least one month of extra validity after the period of your intended stay. However, if you’re travelling onward to another country, it’s best to check that your passport is valid for at least another year. Visa – People from most countries can enter into Hong Kong visa free, although there are some restrictions. You can view the official list online at the Hong Kong Immigration Department website for more information on visa/entry permit requirements. Prescription Medicines – If you take any prescription medicines, make sure you have your doctor’s prescription packed into your luggage along with the medication when you enter Hong Kong. Credit and Debit Cards – Credit and debit card are widely accepted throughout Hong Kong, and ATMs are common and easy to find. If you’re travelling outside your home country for the first time in a while, it’s worth notifying your bank to ensure they know you’re in Hong Kong. Document Scans – It’s always worth taking smartphone photos of your passport identity page, driving license and other important documents before you travel. Store them safely in your email account and you can quickly access them if/when required. Travel Guidebook – Although there’s plenty of free travel information about Hong Kong online, having a guidebook on hand makes finding things much easier when you’re out and about. Lonely Planet Hong Kong is arguably the best book in this category. Vaccinations – Although there aren’t any serious disease risks in Hong Kong, it’s worth getting vaccinated for common tropical and infectious diseases (tetanus, hepatitis A and B, typhoid and rabies) if you’re travelling to a developing country after Hong Kong. Check the Fit For Travel website for the most up to date Hong Kong vaccination information. Travel Wallet – A good travel wallet makes carrying your documents a breeze, as well as keeping your documents safe. It’s usually best to choose a larger travel wallet with space for your passport, bookings, credit cards and other essentials. What Should You Pack For Hong Kong? Hong Kong is a bustling, modern city, meaning that you can find most of the items you use on a day to day basis easily after you arrive. This means there’s no need to stock up on toiletries like toothpaste, mouthwash, shampoo, hair conditioner, razors, soap, tampons and other everyday products, as these are all easy to find in convenience stores and supermarkets. Likewise, everyday medicines like paracetamol, nasal spray, cough medicine and others are all readily available in Hong Kong, often at the same or lower prices than in your home country. Although Hong Kong never gets cold by Western standards, it does have a short winter that is slightly cooler than the other seasons. If you’re visiting Hong Kong from December to February, you’ll want to pack some light winter clothing. Sweater/Light Jacket – A sweater or relatively light fleece jacket will normally be enough for dealing with Hong Kong’s “cold” season, as well as helping you deal with the freezing cold air conditioning in shopping malls and cinemas. Rain Jacket – Hong Kong is quite rainy during winter and spring, meaning you’ll want to pack a rain jacket if you’re visiting between December and May. Umbrellas are readily available throughout the city, meaning this isn’t an essential. Regardless of when you’re visiting Hong Kong, certain items are essential. From t-shirts to a comfortable pair of shoes, you’ll want to pack all of the following items regardless of when you visit Hong Kong. Backpack – You’ll be doing a lot of walking while in Hong Kong, making a good backpack an essential item. A small laptop backpack is about the right size for making the most of your time in Hong Kong and offers more than enough space for day-to-day items. T-Shirts, Shorts and Summer Clothing – Hong Kong is warm most of the year, making summer clothing the apparel of choice. Cotton or other breathable fabrics are the best choice here due to the extreme humidity the during spring and summer months. Underwear – Hong Kong is hot and humid for most of the year, meaning sports brands like with their high tech synthetic Under Armour are often a better choice for comfort than regular underwear. Footwear – Hong Kong is hilly and home to numerous concrete staircases, walkways and other urban hazards, making a comfortable and supportive pair of lightweight walking shoes a must. Swimwear – Hong Kong is home to several good beaches. There are also numerous high end hotels spread throughout the city with swimming pools, some of which have views of the harbour. A good pair of men’s or women’s casual shoes will serve you well in Hong Kong. If you plan on going hiking, some comfortable hiking boots from a brand like Merrell will offer more than enough support and comfort (Hong Kong’s hiking trails aren’t too rugged). Hats and Sunglasses – Hong Kong can be very sunny in summer, making it a good idea to pack a hat and sunglasses to keep your face and eyes shaded. Especially important if you plan on exploring Hong Kong’s hiking trails. Smartphone – If you have an unlocked smartphone, it’s worth bringing it with you to Hong Kong. You can pick either up a Discover Hong Kong Tourist SIM Card at Hong Kong International Airport, or just use Wi-Fi throughout your stay. Camera – Hong Kong is a photographer’s paradise, making it a great place to visit if you’re interested in photography. A good DSLR or mirrorless camera along with a wide angle lens will let you capture the city’s spectacular skyline in amazing detail. Kindle – From the Airport Express to taxis, buses and MTR rides, you’ll have plenty of downtime while getting around Hong Kong, making an Amazon Kindle a great tool for passing the time. Along with your smartphone, it’s worth bringing a backup power source for long days where you can’t access a power outlet. Power Adapter – Hong Kong uses UK-style three-pronged power outlets, meaning you’ll need an adapter if you’re visiting from a country with different plugs. A universal travel adapter will let you use any plug type in Hong Kong without any issues. Tissues – These are also worth bringing to Hong Kong, especially if you plan on enjoying the street food. Many vendors won’t provide tissues, or will only offer a small pack for an extra fee. Pens – Pack a pen or two in your carry-on luggage, as you’ll need to fill in an immigration card when you enter Hong Kong. Ear Plugs – Hong Kong isn’t an overly noisy city, but certain areas such as Tsim Sha Tsui and Lan Kwai Fong can be a little noisy at night. A good set of noise cancelling ear plugs will make it easier to get a full night’s sleep if you’re a light sleeper. Bug Spray – Mosquitos and other insects aren’t a problem in urban Hong Kong, but you’ll notice plenty of mosquitos if you go hiking. Any DEET insect repellant will keep you safe and protected while you’re out and about. Luggage Locks – If your luggage doesn’t include a built-in lock, it’s best to secure it with a luggage lock. TSA luggage locks are cheap, reliable and fine to use if you’re travelling from the USA or other countries with luggage inspection laws. If you’re flying in from far away, make sure to check out our Best Travel Comfort Accessories for Long Haul Flights guide, which covers all of the must-have items for long flights from Europe, North America, Australia and other far afield destinations. If you’re heading to Thailand or anywhere else in Southeast Asia after visiting Hong Kong, you’ll also find some useful tips in our Packing List for Thailand. Start Planning Your Hong Kong Trip Now! :: Find available places to stay in Hong Kong on Booking.com - usually you can reserve a room with no upfront payment. Pay when you check out. Free cancellations too. :: Buy a Hong Kong SIM card online to pick up on arrival Hong Kong airport or a Pocket Wifi router which can connect up to six devices so you can have immediate internet access on your phone. :: Find the cheapest flights to Hong Kong with Skyscanner - one search will show you the prices and times from scores of airlines for your trip. A real timesaver. :: Get travel insurance for Hong Kong from World Nomads - make sure you're covered to protect both your health and your belongings. World Nomads lets you buy insurance online quickly and easily. :: Need inspiration? Check our Hong Kong Itineraries for ideas of where to go and what to do. :: Explore our Hong Kong Travel Guide for more Hong Kong must-see destinations.